The former Justice Minister is at the heart of recent claims that the Prime Minister's office urged her to help SNC-Lavalin engineer from Quebec prevent criminal prosecution. During the weekend, the Canadian press published a story quoting anonymous sources describing Wilson-Raybould as someone who would "become a thorn in the cabinet" before falling in love with her new role last month. It was also called "someone … [who] it was difficult to meet him, known to hide cabinet colleagues openly at the table, and who else felt they were in trouble with confidence. " 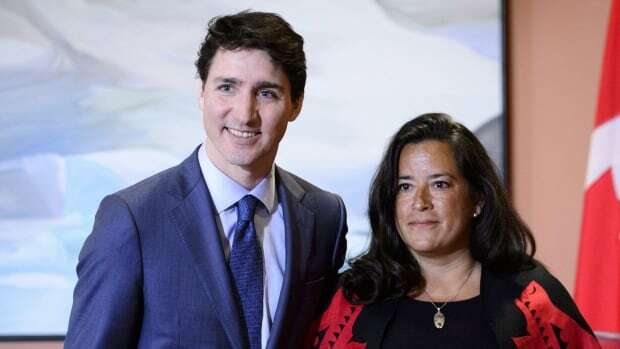 Source, described as "an insider who did not want to be identified," told the news agency that Wilson-Raybould "always has something for himself" and "everything is very Jody-centric." These notes are "cowardly low blows," says the statement issued Tuesday Union B.C. Indian bosses. "They preserve colonial, sexist stereotypes that indigenous women can not be strong, direct and persistent in power positions, but rather confrontational, interfering, and selfish," says a group report criticizing the liberal government of the past in pipeline issues. "These comments from your employees must be recognized as what they are – obvious sexism." Liberal Member Celina Caesar-Chavannes has also jumped on her defense to her colleague that Wilson-Raybould is "wild, smart and unforgettable." "When women talk up and out, they will always be tagged." "Come on, we're not going anywhere," she wrote. "They were informed by your government's curiosity that she was someone who felt they were in trouble with confidence," and is supposedly "in herself" so "everything is very Jody-centric." B.C. a group led by Ambassador Stewart Philippe, called on Prime Minister Justin Trudeau to "take responsibility for your behavior and government" and questioned his commitment to the relationship between the Crown and the indigenous people. "If you do not condone these damaging statements and apologize … not only do you confirm the system of colonial belief that native women are inferior and disposable, but the hypocrisy of your feminism and the" most important relationship "with indigenous people will be revealed to all Canadians, . On Monday, Federal Commissioner for Ethics, Mario Dion, opened an investigation into the allegation that the PMO wanted Wilson-Raybould to call on federal prosecutors to make a "deferred prosecution agreement" (DPA) – a deal similar to a bargaining agreement – to prevent SNC-Lavalin from getting court proceedings relating to bribery and fraud. Dion informed MPs requesting an investigation that there is sufficient reason to conduct an investigation.